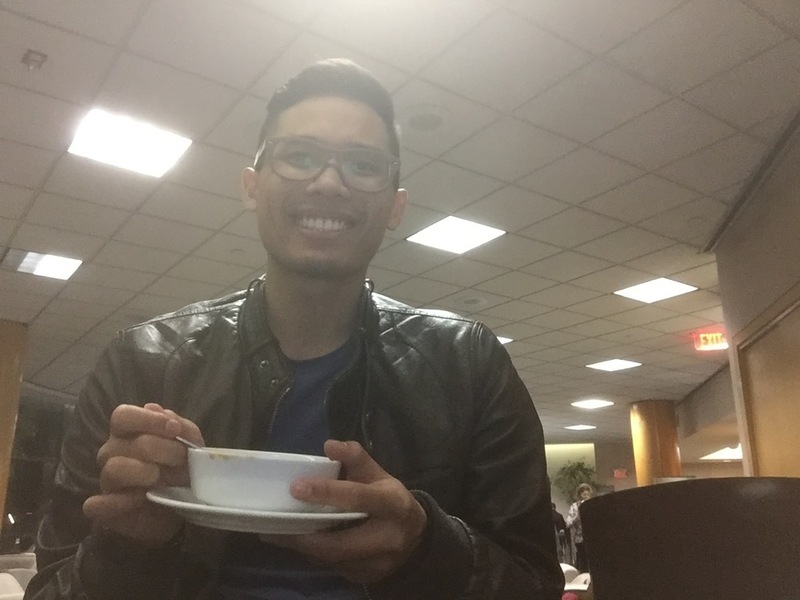 Hello from the United Lounge in LAX International airport! I'm about to embark on a transatlantic journey (with a layover in New York) to the frozen paradise of Iceland. Whether or not it is actually frozen -- or a paradise -- remains to be seen; I'll let you know. Our flight is slightly after midnight, so I'm sitting here writing the first of what will be a travel blog. Granted, I'm not even sure if I'll have internet access during our trip, but I'll try! This trip began with a highlight; I ran into an old friend from middle school. Since our promotion, I hadn't seen her in over 10 years. We were in the same core (is that what it was called?) and the few salient memories I have were her bright smile and passing Asian snacks back in forth during classes. The encounter began when we settled into the back of the shuttle bus. A trio of young Asians boarded the vehicle. My mom looked at them and said, "I really like when girls look so beautiful even when they have no make up." I glanced at the girl her eyes were focused upon. I nodded in agreement. "You know," I said, "she looks like my old classmate." Naturally, I dove into Facebook, where I attempted cross referencing any statuses about traveling. Damn - we weren't Facebook friends. From the profile picture, she looked similar, but I couldn't be sure...it had been too long. After about an hour of checking in and going through security, I was 90% convinced that it really was her. Finally, as our groups passed in the main terminal, my mom called out, "Hi, are you Tiffany?" She looked puzzled, but confirmed that she was. "I'm Phil, from Chaparral!" I said, mentioning our middle school. "Oh my goshhhh," she exclaimed and gave me a huge hug. She introduced me to her boyfriend and her other friend. My glasses had changed, she noted, but otherwise I looked the same. She also looked just as she did in middle school -- just with more wrinkles, in her words. I laughed. She still hangs out with some of our friends from middle school and said she'd text them that we ran into each other. Our catchup was brief, but nevertheless I felt happy. 10 years is a long time; it amazes me how much we change and mature. But equally amazing is though that we've practically become strangers, somehow, rediscovering a friend produces a joy and nostalgia of times gone by. I can't pinpoint why I feel particularly warm. I guess when you leave school, you don't know if you'll ever see your friends in person again (cue Graduation Song by Vitamin C). On one hand you're sad, on the other, you don't notice their absence after a while. Despite Facebook's goal of connecting us, it feels we're only superficially connected with most of our past acquaintances. But that's life, I suppose. But there's something to be said about seeing your old friends happy, healthy, and doing their own things in the world, especially when we weren't sure we'd surmount our most pressing issues in middle school: navigating puberty, gunning to be in our friends' top 10 MySpace friends, and wondering whether our crushes read our AIM statuses. Our struggles have evolved, but it's satisfying to know we're still dancing through life. And now, onwards to Iceland. Update: We're Facebook friends now.